Your vehicle’s fuel efficiency suddenly drops. Your vehicle doesn’t accelerate when you step on the gas pedal. If you are experiencing any of the issues above, there may be some issues with your catalytic converter. At Big Apple Automotive, our ASE certified technicians are equipped to work on catalytic converter repairs and services on all makes and models of vehicles. We will help identify the issue and get you back on the road quickly and safely. At Big Apple Automotive, our excellent customer service and our fair prices have been our focus for our 39 years in business. We are a Napa AutoCare Center and offer a Nationwide Peace of Mind Warranty on qualifying repairs and services for 12 months/12,000 miles. We proudly serve Apple Valley, Victorville, Hesperia, and surrounding areas. 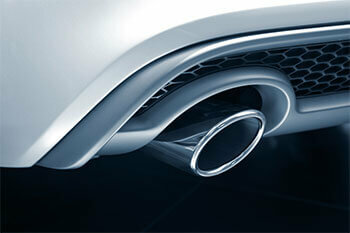 If you’re experiencing issues with your exhaust or emissions, we can help! If you are an auto body shop and would like to offer muffler, emissions and exhaust services at your shop but do not have the resources to do so, team with Big Apple Automotive to expand your services.